If you attended the last quilt market in Minneapolis, you may have noticed this fetching quilt hanging up in our booth. This lovely work was designed and created by Rossie Hutchinson of Fresh Modern Quilts. Rossie has shared her process with us, and we’re happy to offer this incredible pattern as a free download! 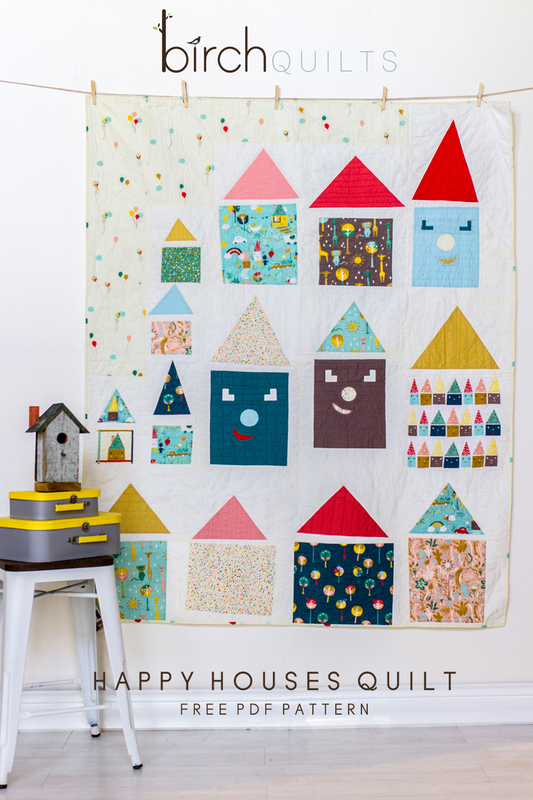 The Happy Houses quilt is great for mid level quilters and it’s just too darn cute. 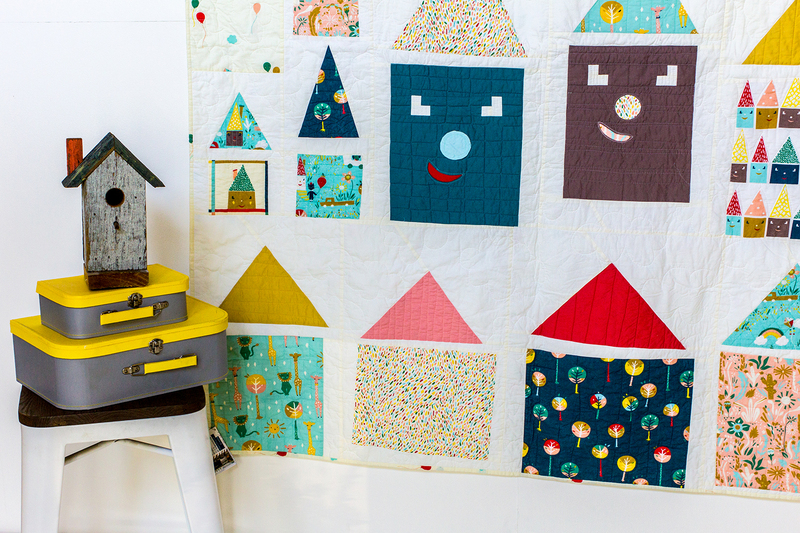 Rossie’s fool proof instructions leave you many options to customize your quilt too! Featuring fabrics from the Happy Town collection by Emily Isabella and coordinating Mod Basics Solids! So what are you waiting for? 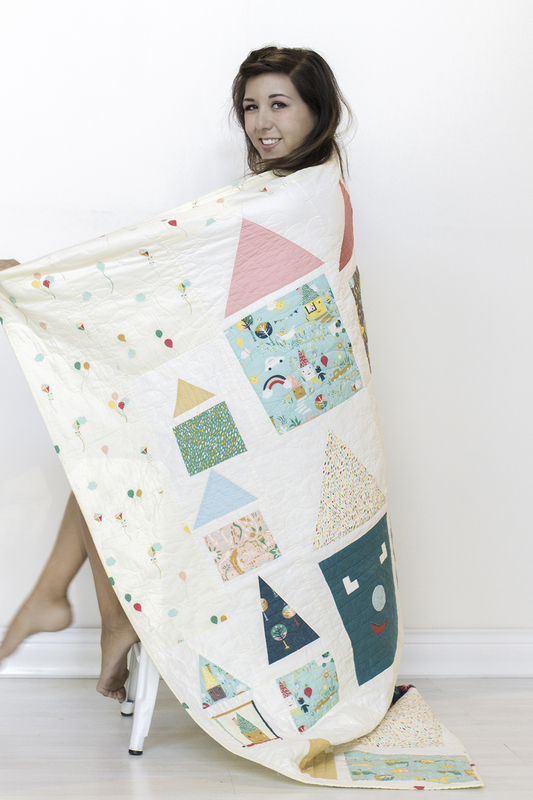 Go download that pattern, and get yourself wrapped up in a stunning organic quilt!